Roxy Music’s ‘Jealous Guy’ topped the UK music charts in March 1981. 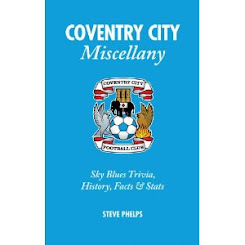 The following Saturday envious glances were cast from Leicester as Coventry’s Tommy English netted the Sky Blues’ only top flight hat-trick against the Filbert Street side. In a resounding 4-1 victory, the City team, with the exception of Gerry Daly and Gary Gillespie, all graduated through the club’s youth system. Les Sealey, Danny Thomas, Brian Roberts, Andy Blair, Paul Dyson, Peter Bodak, Garry Thompson, English, Gary Bannister and substitute Steve Whitton joined the club from school. Waiting in the wings were Steve Jacobs, David Barnes and Ray Gooding, all part of the same youth squad. English, at just 17, scored on his home debut against Bristol City in August 1979. A graduate of the youth team with Mark Hateley and Garry Thompson, many of his 22 goals were scored against the leading sides away from home. 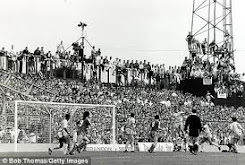 The City Ground, Baseball Ground, White Hart Lane, Portman Road, Hawthorns and Old Trafford all displayed the front man on their revolutionary electronic scoreboards. 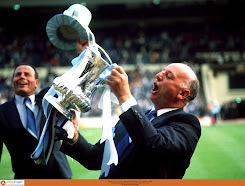 At the start of the eighties Forest were European Cup winners, Ipswich UEFA Cup winners and Spurs FA Cup holders. With our current struggles away from home how we could benefit from his eye for goal. 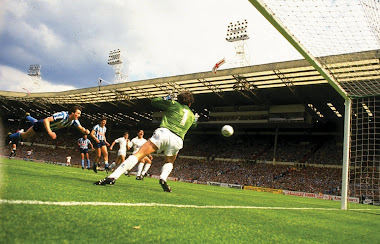 The emergence of Steve Whitton and arrival of Dave Sexton as manager signalled the end of his Sky Blues’ career after 76 first-team appearances. England Under-21 coach Sexton preferred Hateley and Thompson as his strikers, both of whom he had selected for the national side. After three years alongside Gary Lineker and Alan Smith at Leicester he moved on to Plymouth, Rochdale and Colchester. By the time of our FA Cup triumph Hateley lined up for Arsene Wenger’s Monaco, Thompson had just been relegated with Villa and English had moved into non-league football at the age of 26. Three points for a win was introduced at the beginning of season 1981/82. Topping the charts when he left City were ‘Musical Youth’ with their ‘Pass the Dutchie’ classic. 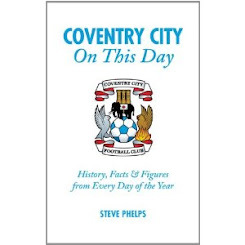 By the summer of 1983 only Steve Jacobs and Brian Roberts remained from the ‘City Youth’ who took to the field on that March day in 1981. 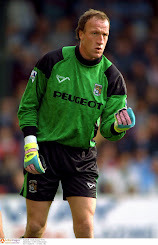 Tommy English had done all his work at Highfield Road prior to his 21st birthday. 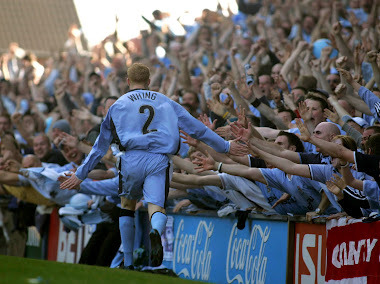 His final goal for Coventry sealed his hat-trick as it flashed past Leicester ‘keeper Mark Wallington. After witnessing that performance City supporters and the man himself would have expected many more. I hate to be a pedant but didn't we buy Gary Gillespie from Falkirk? Spot on - thanks for pointing it out - all correct now!